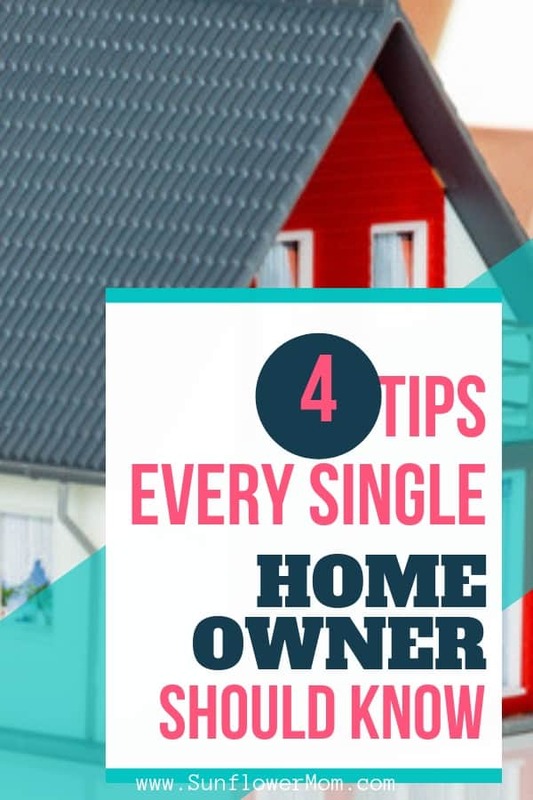 Inside:4 single mom homeowner tips most people don’t tell us about but will save you in an emergency and will also save you money. I grew up with a “handyman” type of dad. A plumber by trade, he appeared to be able to fix anything. I have memories of him working in the basement and painting our house on more than one occasion. Sadly, I didn’t take the time to learn anything from him. Who knew I’d end up being a single mom and a homeowner. Some basic handy skills would’ve saved me not only money but also my sanity. A few years after my divorce, living alone with my children in my old 1950s era home, my daughter turned the water off in the bathroom sink. But when she turned the knob to “off” the water continued to run. When I tried to turn it, the knob came off in my hand. Water began shooting straight up to the ceiling. I reached under the sink to turn off the water running to the sink. I at least knew to do this much. However, when I turned the water shut off knob, this knob came off in my hand too. Now water began shooting full blast both at the ceiling and straight at us. I didn’t know what to do. My kids were screaming, and I stared at the water accumulating on my bathroom floor at 9 pm. I yelled for my children to go across the street and next door and get help. They came back with three neighbors. My neighbors asked where they could find the main water shut off valve to the house. I’m now embarrassed to say – I had no idea. And being an old home, it took the three of them so long to find it, they ended up turning the water off outside. Turns out my main water shut off valve was in the basement in an old crawl space. Although I had a mess on my hands, when I moved a few short months later, this experience inspired me to take a real interest in the house inspection for my new home. And not only so I could learn where the water shut off valve was located. 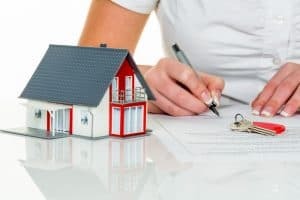 I knew this time buying the house I would be a single homeowner and I needed to know what to do in multiple types of emergencies. Not only do you need to know this for a situation like I experienced, but experts suggest you turn your water off when you leave your home for vacation. We’ve all heard of people who’ve come home from a few days away to find their basement flooded. 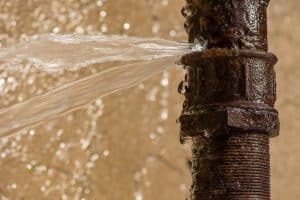 Pipes bursting is not uncommon, and the damage it can cause to your home is well worth the few seconds it takes you to turn the water off and on at the base. 2. Know where your circuit breaker box is and understand each label on the circuit. Understand your circuit breaker box and how to use it. Usually, you’ll find your circuit box in the basement, attic, or a closet. You may have more than one breaker box. For example, the main breaker box would be inside and contain everything except for one or two external circuits may be in a box outdoors. You might also have a GCFI switch located away from your circuit box. If you’re a homeowner who won’t be doing any home repairs, you most likely won’t need to switch the circuit on your own. However, the circuit may switch by itself if there’s a fault, short circuit or if overheated. Check out where the circuit breakers are in your home and ensure they’re labeled to possibly save you the cost of an electrician coming to your house just to switch the circuit breaker. Sound ridiculous? Again, this happened to me. Over Christmas, my outside lights stretched over my front walkway. I had an extension cord running across the sidewalk (in hindsight, not a great idea). After an ice storm, some boys were shoveling my sidewalks and breaking up the ice. In the process, they cut my extension cord with the blade of the shovel. I didn’t know it at the time, but the blade tripped my GCFI switch. For a good week afterward I couldn’t figure out why my outside lights wouldn’t turn on. Even the external plugin on my back porch wouldn’t work, and at this point, I didn’t know how long it had been. I knew I had a circuit breaker but everything looked fine, and nothing labeled for the outside lights. I called an electrician who couldn’t find anything. I ended up paying him two hours of his time to find a hidden GCFI switch in the basement. He merely flipped it back. When I first became a homeowner, I ignored my air filters…for years. It’s easy to do since you never see them. Changing your air filter on your air conditioner/heater is an easy way to keep costs down but can also save you a service fee. My cousin is in heating and a/c repair and the number one fix for residential issues is a new air filter. To help myself remember I have a new air filter delivered to me automatically every three months from Filter Easy. You can get your first month’s free by using this link. Between changing my air filter every three months and cleaning the outside of my unit at the beginning of the season, I’m able to avoid the costly fee of yearly maintenance without any failures. Owning a home doesn’t come without the basics of learning about the toilet. If you have young children, they’re going to put something down there that doesn’ t belong there. Understanding of how a toilet works can save you a service call. Hopefully, you can get by with your plunger. A plumber’s plunger is best, but sometimes that isn’t good enough depending on what’s stuck at the bottom. In that case, you’ll need to learn how to snake a toilet. I’ve done this more times than I can count. Learning this skill can save you a call to a plumber which is not only costly but depending on how many bathrooms you have, timely. Get familiar with how the inside of the toilet works with the flapper, chain, and float so that if it begins to run you can see if something is not connected. Usually, you need to reconnect the arm to the flapper inside, but possibly you need to tighten the handle with a screw. Since living in my new home, knowing where my main water shut off valve has come in handy. Although I don’t live in an older home now, on my second Christmas Eve in my new house, I heard a loud burst come from downstairs. I ran down to find my hot water tank had burst at one of the pipes. Thankfully I was home, and I knew how to shut off the water. I learned later I could have shut the water off directly on the tank, instead of to the whole house, but regardless I was glad I knew what to do this time in an emergency. The above tips for owning a home as a single mom isn’t all there is to know about owning a home, but after eight years on my own, these are four tips I keep coming back to.